From left to right: Dusty Ray Bottoms, Kodo Nishimura, Asifa Lahore, Serenity Jones and Monique Heart. I feel like I’m in a little bit of gay withdrawal. The tenth season of RuPaul’s Drag Race ended last Thursday, June 28, and I honestly don’t know what I’m supposed to do with my Thursday nights now. Perhaps more than any other season, I needed this weekly booster shot of queerness in my life. You see, like so many millennials, I moved back in with my mom and dad to save money this last spring. Don’t get me wrong; I love my parents but, man, they are so heterosexual. In contrast to my first year and a half out of college, which I spent immersed in the queer nightlife and activist spaces of Santa Barbara, I returned home to Sacramento and quickly realized I had very few queer friends left there. So this spring, the queens of season 10 became, in a way, my surrogate queer community. After its eight-week All Stars season concluded in March, the show immediately launched the next week into this current iteration, flaunting a larger production budget, a redesigned Werk Room and new 90-minute episodes, plus a half-hour of Untucked’s bonus behind-the-scenes drama following each episode. That’s five months straight and about 35 hours of Drag Race this year (for reference, the entirety of Breaking Bad can be watched in roughly 60 hours if you include commercials). This is certainly enough time to make a habit, perhaps even a ritual, out of my Thursday night viewings this year. And when you get a bunch of queer people together in a gay bar to partake in this ritual together, to nourish our spirits and build our communal strength and joy–maybe there’s something church–like about that. I get it. Maybe that sounds silly or even sacrilegious to you. Maybe you think I’ve drunk way too much of the drag queen Kool-Aid. But I can’t remember the last time I felt truly recognized, truly seen in a Christian church, even one that supposedly affirms my homosexual identity. In church, we’re supposed to see each other as God sees us, but I don’t often witness that kind of empathy on Sunday mornings. On Drag Race, I witness it every week. 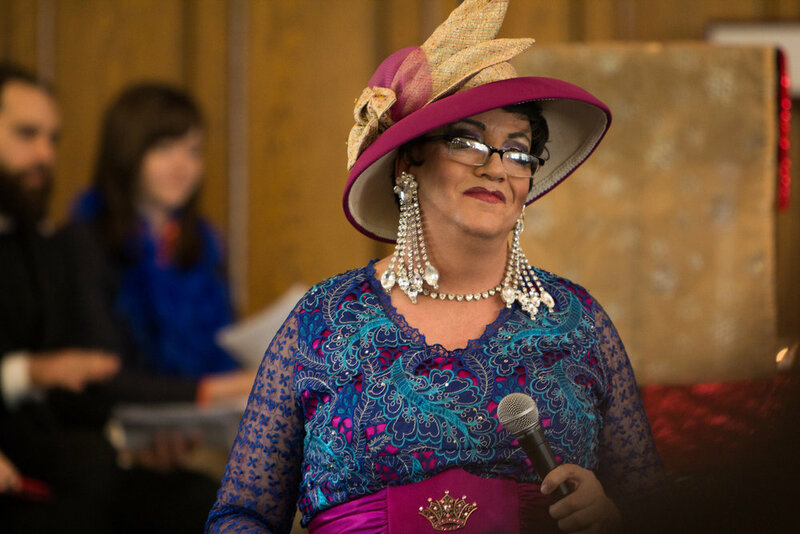 But other drag queens have found ways to reconcile their faith, family and sexuality–and use drag as a form of ministry. Monique Heart, another season 10 contestant, grew up singing and dancing in church. She, too, initially got involved in ex-gay ministry. Then, something changed. “During that whole journey of trying to pray the gay away, I got to know [God] as a father,” she told the Kansas City Star. “I learned that because he loves me so much he said, ‘Hey, I’m not going to let this thing … hold you back from me. I’m going to take you on a journey.' That’s how I’ve worked it out. I’ve thrown out what the world says isn’t Christian." By putting on makeup and a wig, drag queens actually unmask their true identities, becoming the most themselves they can be. Ultimately, her parents have come to accept her, and she continues to follow the five pillars of Islam: belief in the one Abrahamic God, daily prayer, giving to charity, fasting during Ramadan, and a pilgrimage to Mecca. Since coming out publicly as transgender last May, Asifa has returned to attending her local mosque, where she finds acceptance of her trans identity. “I go to the central London mosque in Regent’s Park and I use the women’s quarters, as I do with my local mosque in south London. The first time I went in, the mosque required me to put on a headscarf. They gave me a headscarf, and I put it on, went into the women’s quarters and prayed. I go about my life as a Muslim woman in that respect,” she said. 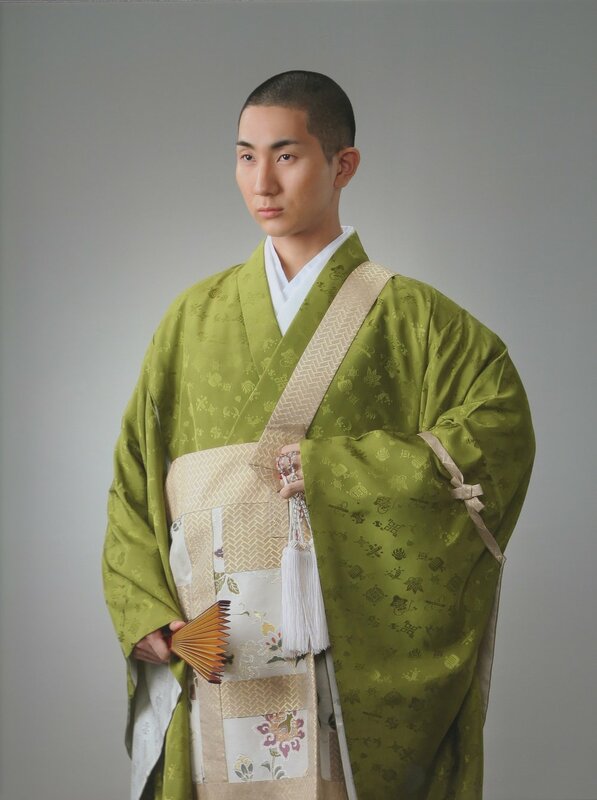 Japanese makeup artist Kodo Nishimura isn’t your stereotypical Buddhist monk. Yes, he trained in all the ancient rituals and practices of his Buddhist faith, but he also has more than 11,000 Instagram followers; travels around the world teaching makeup to trans youth in Japan and beauty school students in Spain; and has done makeup for celebrities like Carson Kressley and Christina Milian as well as shows and outlets ranging from Miss Universe to The View to Esquire. Having grown up living in a Buddhist temple, Kodo decided to become a monk while he was an art student in New York at the Parsons School of Design. “In order to produce the best art, you have to be true to yourself and express what you know and be original…so I was incorporating a lot of elements from Japanese flower arrangements, which I studied for eight years. But in order to dig down deeper, I wanted to re-learn how to be disciplined as a Japanese person and also find out and explore my roots, which is a life as a Buddhist,” he said. To me, that’s the end goal of a lot of drag: to express beauty and joy. What has always thrilled me about drag queens is their ability to elicit this joy in me by presenting an image that is simultaneously larger than life and totally authentic. By putting on makeup and a wig, drag queens actually unmask their true identities, becoming the most themselves they can be. This anxiety stems from a misplaced fear of authenticity. They fear that if I and other LGBTQ people reveal our queerness too much, we’ll bring shame and corruption into the church. Like Kodo, Asifa and Serenity shared, the pressure to assimilate is strong. And it makes me sad. Because queerness isn’t a corruption or obfuscation of God’s image; it’s the very revelation of God. That’s what I’ve learned from drag queens. If straight congregants learned this as well, they’d not only welcome us LGBTQ people in; they’d celebrate our presence. If only they knew that we’re all God in drag.